Free 3 ninja characters vector in Ai file. This vector using just the basic shapes and basic colors. 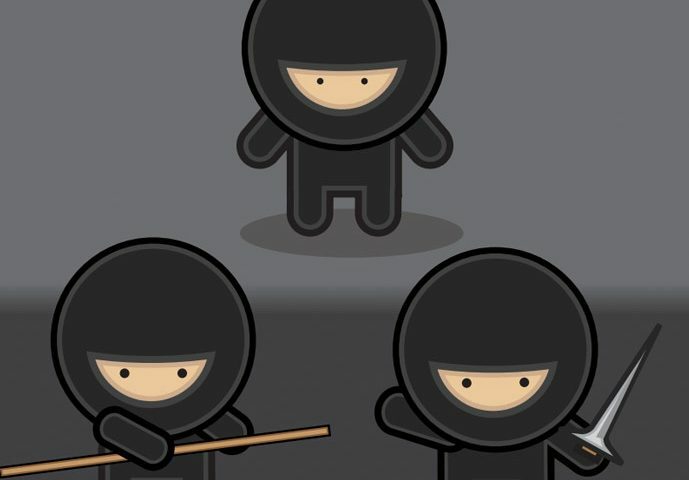 Also you can watch this tutorial “How to create a Gang of Vector Ninjas in Illustrator” for creating your own vector.